Are you lookin g for the most reliable tree-related services in your area? Look no more! Jim’s Trees is here! While trees are undeniably helpful, there are times when one just has to be removed. But when you remove a tree it is also important that the stump be removed as well. Stumps, when left alone, could pose a risk to health, be a breeding ground for pests such as termites and ants, and could detract from the beauty of your landscape as well. At Jim’s Trees, we understand your needs like we do trees. We have been in the business long enough to have established a firm reputation for reliability and excellence. Our commitment towards both the environment and our customers has driven us to offer services that would not only help the trees but benefit you as well. We always do on-site analysis of the situation before recommending the proper course of action both for you and your property’s safety as well. We are a part of the world’s largest franchise organisation, the Jim’s Group of Companies, which is based in Australia. Since 1997, the Jim’s group has been consistently providing reliable and speedy services across a broad range of residential, commercial, and industrial tree-related needs. Our stump removal process is the product of that long experience in the industry. Our arborists are among the best and most experienced in the country, with more than enough skill and knowledge when it comes to removing stumps. We pride ourselves for our careful and meticulous process using only the latest machinery and equipment. In fact, we could offer you a guarantee of excellence that is unmatched by any other in the industry. 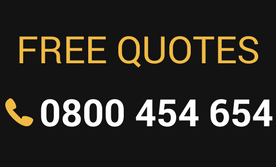 Email us or simply call on this number for a free quote on our premium tree pruning services. You can also fill-up the online form and we will get in touch with you. Trust only the best in Auckland and Christchurch. Trust Jim’s Trees.